Version 0.6K also has graphical improvements including new reflections and dynamic environment maps, AI improvements, support for the HTC Vive VR headset (in addition to the Oculus Rift) and fixes. You will need an S3 license to unlock the Rockingham track. S3 licenses are now available on our website. If you already have S1 or S2, the price of your existing license will be deducted from the full price of S3. Further S3 content is in development but currently Rockingham is the only S3 content available. We made the decision to release it now rather than waiting for the other content to be completed. Although S3 content is already being developed, we cannot provide a guarantee that it will be released. Please only buy an S3 license upgrade if you feel it's worth it to use Rockingham right now. We will be continuing to work on S3 after Christmas! Read the list of changes and how to get the update on the 0.6K information page. 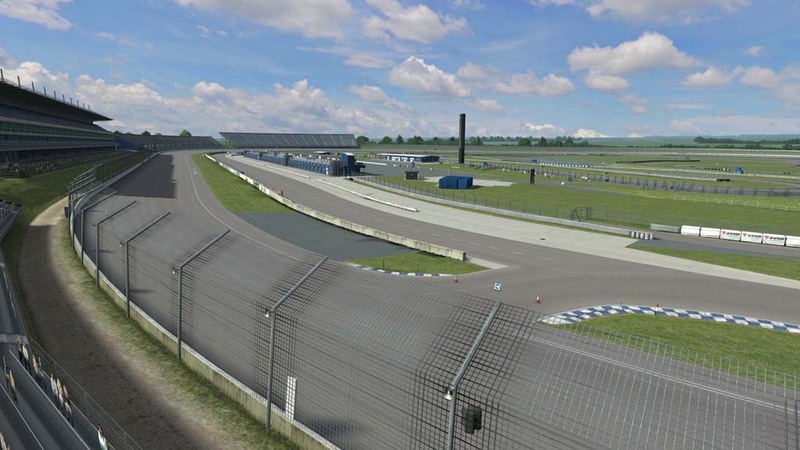 We have also uploaded a large collection of new Rockingham screenshots for you to preview.